I recently had the opportunity to attend a Disney Institute workshop. As I watched the opening video that described all the Disney businesses – theme parks in multiple countries, resorts, a cruise line and movie studio – I wondered how they maintain such consistency across so many business lines and over so many years. To make the task even more difficult, many of their cast members (Disney’s term for employees) are young, front-line and part-time workers. So Just How Does Disney Do It? While Disney’s mission is to “create magic everyday”, there is nothing magical about Disney’s Approach to Business Excellence – the name of the workshop I attended. And that’s the answer. 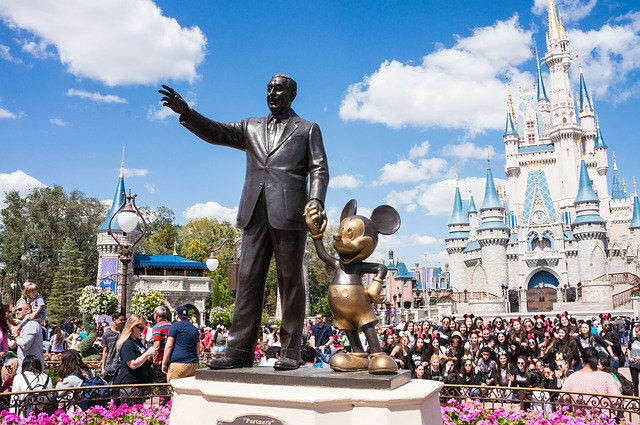 Disney creates its magic through well-defined systems and processes. The magic is in the methodology. It almost feels a little disappointing and anticlimactic, doesn’t it? While I am not going to pretend to have figured out Disney’s methodology for making magic, here are some of keys to creating an environment that supports ongoing service excellence. 1. Define the common purpose clearly and follow through with it. Disney clearly defines a common purpose and continuously makes sure employees at all levels understand how they contribute to that purpose. As an example, Disney shows live streams from its theme parks into their reservation call center so the cast members taking calls can get a sense of the experience they are helping create for guests. For your own organization, what can you put in place to help employees in all roles understand their contribution to the purpose? 2. Identify core values and make decisions through the lens of those values. Be sure that the behaviors and decisions of leaders manifest your core values. Do not tolerate leaders whose behavior deviates from your core values. 3. Assure your processes are customer-centric. Too often, organizations develop processes for their own convenience and not for the convenience of the customer. Do your systems and processes make it easier for your customers or easier for you and your team? 4. Honor your legacy without becoming bogged down in the past. A strong legacy can help give meaning and purpose to an organization and those in the organization today. Stories are an important aspect of culture. Yet organizations that experience decade after decade of success must also innovate. Their purpose might not change, but how they operationalize that purpose must evolve with the times. How can you systematically highlight each person’s contribution to purpose? How do you assess processes to be sure they are meeting customer need? Have you clearly delineated the behaviors that represent your core values? Do you have methods to ensure a systematic approach to innovation? Do you need help with systemizing your approach to creating a culture that delivers excellence in customer service? Explore our Five-Point Performance Optimization System.